Selecting the correct KPIs (Key Performance Indicators) is critical to the success of an online shop. You can only measure how well your sales funnel is working – and how you can make adjustments to conversion optimization – if the KPIs are right. We have put together the most important KPIs in the online shop, to allow you to structure what can feel like an eternity of measurable indicators. Where do you need to make measurements? What is unimportant? We can explain. Essentially, the sales funnel represents the customer journey in your online shop. This describes the “journey” made by a shop visitor, using various touch points. A customer journey can be short or long, with objectives – defined as “conversion” – normally being purchases or orders. Touch points, or contact points, can occur wherever a (potential) customer comes into contact with the online shop, the company in general, its employees or its products, services and brands. These are the “moments of truth” and this is where performance needs to be measured. In this context, we refer to conversion path analysis or funnel analysis. In conjunction with hmmh, we have put together a white paper with the 9 most important KPIs for the conversion funnel for your online shop. 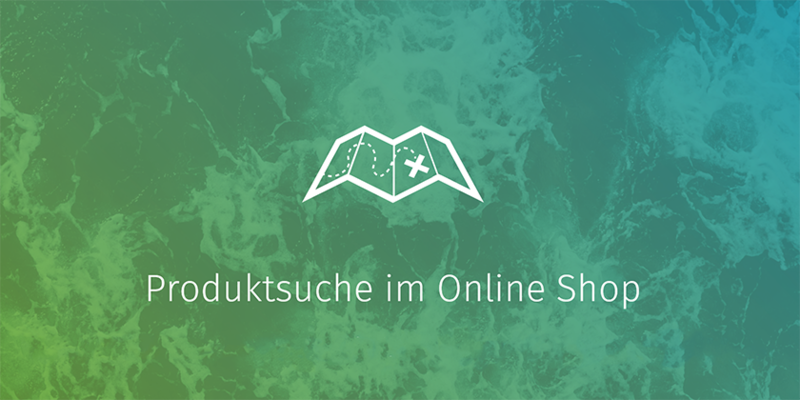 A shop visitor has made it to your online shop? Excellent. Now you have to get the customer to progress through all levels in the funnel and measure how well this works. In up to 70% of cases, the customer journey for an online shopper starts with a search query. 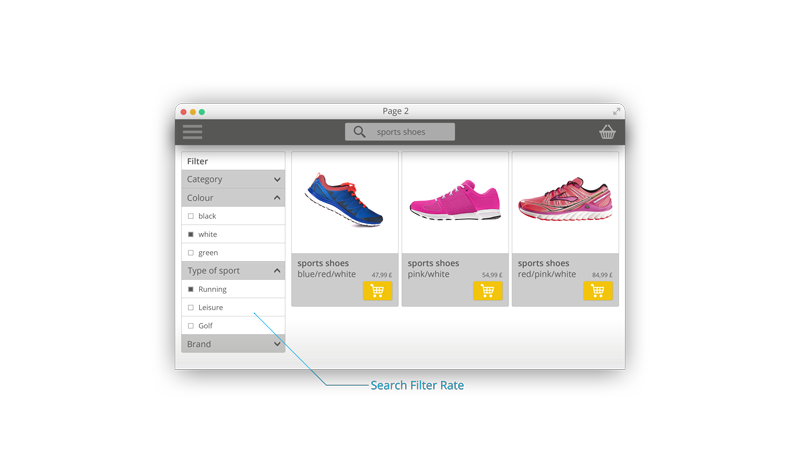 Therefore, the quality of a product search is critical for the success of an online shop. The following 9 KPIs help you to maintain focus on the quality of your search and allow you to adjust and optimize your customer journey. How do our visitors get to the detailed information for a product? There are various ways to do this, as the user can perform a standard search and use the Suggest function. 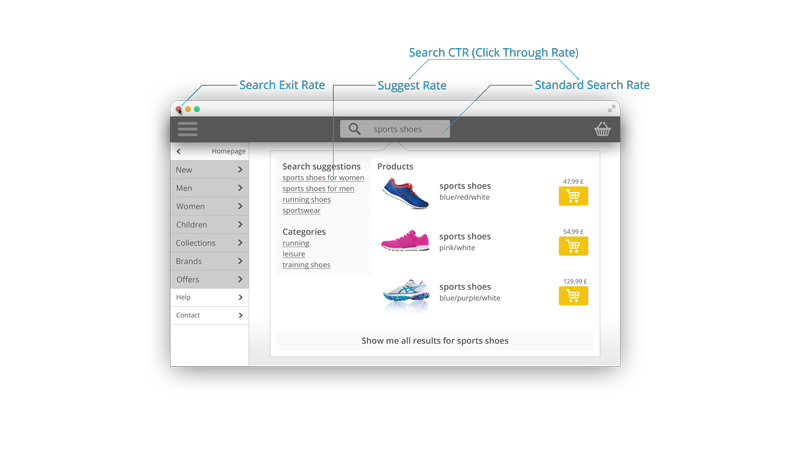 The Search CTR shows the relationship between the frequency of searches on the website for the option displayed (visits) and the number of visits with clicks on the Search function. The Suggest function uses auto-complete for the search query to suggest suitable products to the user. Compared to the standard search, the Suggest function is used to display just those search proposals with hits. Each Suggest user therefore has a shorter customer journey and a correspondingly shorter journey to the checkout. The majority of visitors uses the normal, standard search as opposed to Suggest. That is why the Standard Search Rate is one of the most important KPIs in the customer journey. 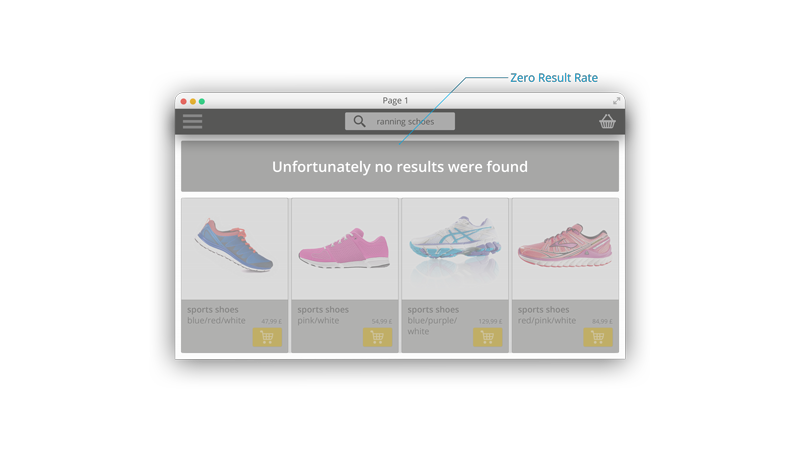 If a visitor uses the standard search function in the online shop, the product being searched for may not be in the range, or may not be available – and the customer lands on a zero-result page. If this happens repeatedly, it leads to a dissatisfied visitor – who is then likely to leave the shop. 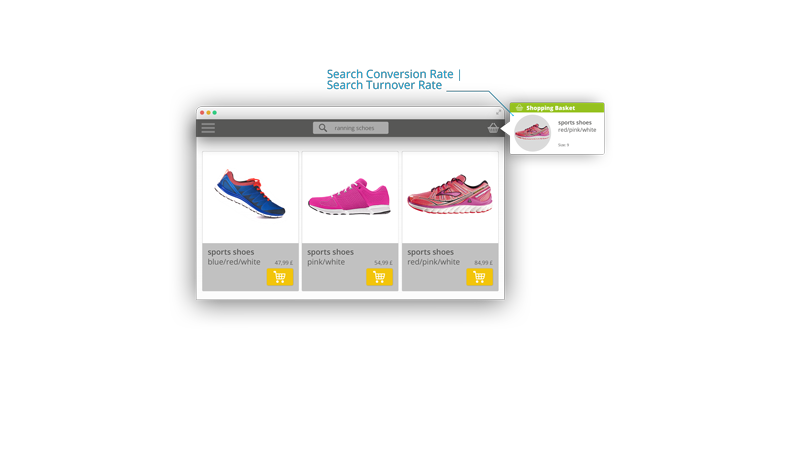 If visitors do not find the product being searched for, they will often leave the entire shop, not just the search page. The Search Exit Rate shows you exactly this information. Are the search filters being used? The visitor is searching for something specific and hopes to find the right product quickly – increasing the likelihood of progressing swiftly through the funnel. The Searches per User KPI shows you how often your visitors have to search, on average, once they have decided to search for something. This is also a good indicator of the overall search quality. The success of search optimization is reflected in the Search Conversion Rate – the search variant for one of the most important e-commerce KPIs, the conversion rate. This shows how effective individual changes to search optimization have been. All the improvements should result in increased revenue generation from your users thanks to search optimization. The Search Turnover Rate shows you the proportion of total revenue related to your search. Our FACT-Finder search solution boasts an integrated analysis tool that helps you to focus on all the important KPIs. This helps you to answer decisive questions about your sales funnel. For example: which search queries result in my customers landing on the zero-result page? Which are the most useful filters? Which products are often placed in the shopping basket together? And much more. Please contact us if you would like to find out more.